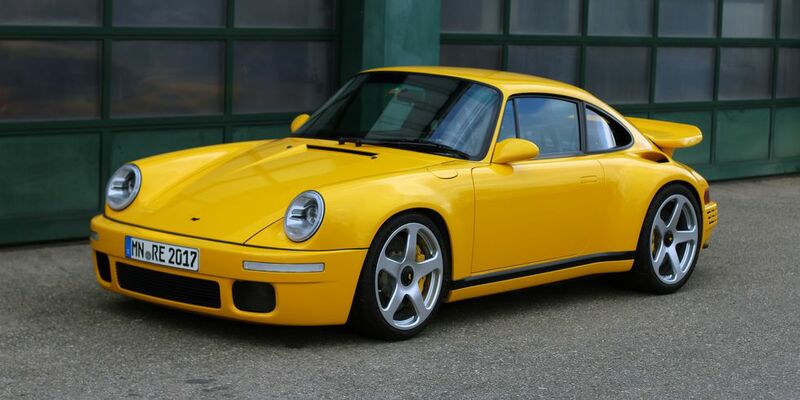 If you’re a small family-run car company like 911-wizard RUF, certain hard decisions have to be made to keep your R&D budget in balance. For Alois Ruf, the good news is that blasting down the Autobahn at well over 220 mph in the name of science is a low-cost, yet more efficient alternative to spending weeks at a wind tunnel. On the other hand, if your V8-powered 911 concept–the 997-based RGT-8–won’t comply with European emission regulations right after a cold start, you either spend money figuring that out, or on developing the future of your entire business. Given your resources, there’s just no way of doing both, and RUF went for the long-term investment. Which is a new chassis that shares absolutely nothing with Porsche. But the turbocharged CTR and its naturally-aspirated sibling the SCR aren’t built on a Porsche platform. RUF spent years coming up with the perfect alternative, and the work is finally paying off. Since RUF doesn’t have the autoclaves needed for carbon production, around eight to ten different German suppliers contribute to a rolling chassis. The carbon fiber monocoque take a week to create, and it features a tunnel to allow for all-wheel drive. Attached to that is the welded subframe assembly, which is completely flexible, making the new chassis suitable for both rear- and mid-engined layouts, as well as cabriolet bodies. With the carbon tub, the rigidity won’t ever be compromised. With carbon brakes in the corners, the fully loaded rolling chassis weighs around 573 lbs. From there, full assembly only takes about two or three more days, with the carbon skin designed by Freeman Thomas completing the looks. The final product may appear to be a small, wide, roomy and lightweight 911, but it certainly isn’t a Porsche by any stretch. And not just because RUF is officially recognized as a manufacturer by German law, just like BMW specialist Alpina.